One of the largest CrossFit affiliates in the state of Maryland! 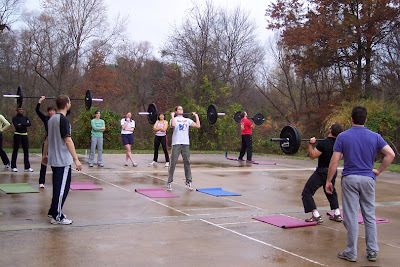 So, What is CrossFit? In brief; CrossFit is super-effective Strength and Conditioning program that delivers results quickly, and works for EVERYBODY! Professional Athletes, Housewives, Military, Business Professionals, & more have all discovered the best shape of their life with CrossFit - So can you. Awesome! Our "Rookies" program is the place for you! CrossFit requires you to, not only to push your body, but to understand Fitness inside and out. 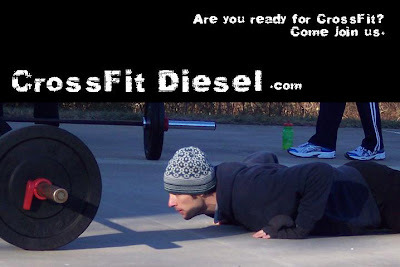 To prepare you for the physical and mental challenges of regular CrossFit Participation, We have developed the "CrossFit Diesel Rookies Program". These Rookies specific classes will introduce you to fundamental technique and knowledge in a group environment (much like the CrossFit Level 1 Cert.). You can go at your own speed, and take as many classes as you'd like, before progressing to the regular group classes. I haven't worked out in, like, FOREVER! is the Rookie Program right for me? Yes. You should progress at your own pace. Many will find that they get more out of "Steeping Longer" then the minimum 6 required Rookie Level Classes. I've never done CrossFit, but am the Superstar of all things fitness, so can I skip the Rookie stuff? Well off the bat, you don't sound very "coachable". If you are going to get anything out of training with a coach, or in a group CrossFit environment: You are going to have check your ego. Do the Rookie Program (step-by-step), excel at the material presented, and prove yourself. The best athletes don't cut corners. I've been through another affiliates "On-Ramp", "Fundamentals", "Level 1" (etc.) program already, can I join your gyms Regular Classes. Absolutely. Please have your old Affiliate email us to vouch for you. I'm really excited! Can I start tomorrow, or do I have to start at the 1st of the Month? You can start right away. We offer 3 Rookie Level classes a week. See above, or the "Schedule" tab for times. Where can I pay for the Rookies program? Under the "Buy" tab on our website. Click the green hyperlink that says "Rookies Program"
I can't make the times listed for the Rookie Level Classes! That's a statement - Not a question. And really, it might just be an excuse mascaraing as a legitimate hurdle to starting. Only you can tell the difference - So don't be your own hurdle. I want to/ or need to start by working 1-on-1 with a trainer. May I? Yes. 1-on-1 Sessions are great and there are any number of reasons to start with Personal Training. Generally, we schedule 1-on-1 Sessions 1 hour before, or just after one of our Regular CrossFit Classes (see: Schedule Tab). Email us to set up a time for your sessions. If you have special time or location constraints, let us know - We'll get everything squared away and get you started on the right foot. Personal Training can be purchased under the Buy tab - But EMAIL US First (see: Contact Tab). Information and CrossFit related materials.